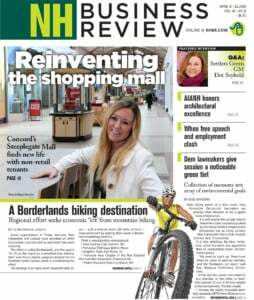 Use of Airbnb grew by more than 50 percent in New Hampshire this summer – in terms of guests, hosts and revenue – according to figures released by the online short-term company. Airbnb reported 113,440 guest arrivals in the Granite State between May 25 and Sept. 3. They stayed with some 2,800 hosts who earned a total of $15.3 million. All three figures are more than 50 percent higher than last summer. Much of the growth can be attributed to a jump in the number of hosts from 1,800 to 2,800, a 56 percent increase, a quarter of them sharing their home for the first time. More than 90 percent of the guests came from out of state, the biggest number coming from Massachusetts and New York. The main destinations were the White Mountains and the Seacoast. Conway, Bartlett, Lincoln and North Conway were the top four in terms of number of guests, followed by Hampton. Meltzer had prepared a nearly identical statement for Maine media when it released its figures, which are provided to reporters on a state-by-state basis upon request. The company hasn’t released national figures as of yet. So far, New Hampshire lags far behind three much larger states – New York, New Jersey and Pennsylvania – in absolute numbers, but the Granite State actually has a greater concentration of Airbnb visitors when you take population into account. But Maine, which has nearly the same population as New Hampshire, had more than twice as many visitors, resulting in $40 million for its hosts. Maine’s per capita visitor rate is nearly three times as high. Even before the latest growth spurt, there have been some growing pains in the Granite State, especially where the Airbnbs are concentrated. During the last legislative session, neighbors of a Conway Airbnb complained about an absentee host stuffing the house past capacity with partying vacationers. They asked lawmakers to pass a bill allowing a municipality to define a “disorderly” house. Some municipal officials wanted the right to license them. None of the bills passed, but several are in study committee, and some municipalities are attempting to regulate the short-term rental industry on their own.